The book of Hebrews and the 11QMelchizedek found in the Qumran caves both give a prominent role to the rarely mentioned Biblical character Melchizedek which has inspired much debate about their connection. The intent of this paper is to compare 11QMelchizedek with the book of Hebrews in order to determine if 11QMelchizedek can give us insight into why and how the author of Hebrews used Melchizedek in comparison to Yeshua. 11QMelchizedek portrays Melchizedek as an angelic being who initiates an eschatological Jubilee that releases his people from their sins, rather than economic debts. The author presents a range of Biblical citations, revealing their “true” interpretation. Melchizedek, who is the agent of this salvation, is enormously exulted and has names generally reserved for God alone applied to him, including a substitution of YHWH for Melchizedek in Isaiah 61:2. He is also portrayed as carrying out judgment upon the wicked, an action normally associated with God Himself. To begin to understand the Melchizedek of 11QMelchizedek, we must first start with Scriptural references to this character. Although Genesis 14 and Psalms 110 are not actually referenced in 11QMelchizedek, we can safely assume that the author of the text intimately was familiar with them since they are the only two passages that actually name Melchizedek. Genesis 14:18 identifies Melchizedek as both king of Salem (probable reference to Jerusalem) and a priest of “El Elyon”; God Most High. Significantly, this meeting between Abram and Melchizedek occurs immediately after Abram has freed Lot and the other captives from being taken away and probably enslaved and has returned the looted property. The release of slaves and return of property is a prominent feature in the Jubilee year instructions found later in Leviticus 25 and thus the reading of these passages together provides background for 11QMelchizedek portraying Melchizedek in the role of proclaiming the eschatological Jubilee. 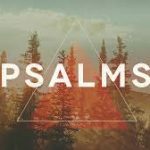 Psalms 110 is identified in verse 1 (MT) as either a psalm of David or possibly a psalm to David, the king of Israel whose name was associated with the lineage of Israelite kings and to the expected messianic king. Psalm 110:1’s statement “YHWH announced to my Lord: sit at My right hand” indicates that the recipient of this passage is a king, possibly even a divine king due to the usage of the Hebrew Adoni, a title often associated with YHWH especially in Second Temple Judaism. It is to this same individual that YHWH makes an oath “you are a priest forever according to My decree, Melchizedek”. 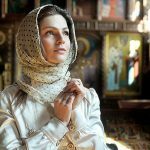 Thus, we see in both passages that Melchizedek is a king-priest, a combination of offices forbidden in Israel but common in other ancient Near Eastern nations. In 11QMelchizedek, Melchizedek is called Elohim (God/god-like being) in a quote of Psalm 82:1 and Psalm 7:7-8 and his name is actually substituted in place of ‘YHWH’ in the quote of Isaiah 61:2! This leads to some confusion as to whether or not Melchizedek is considered God Himself or an angel. That Melchizedek is referred to here as Elohim does not necessarily indicate that the author had divinity in mind; this word is also used in Exodus 22:28 in reference to a human judge according to the Jewish sages. However, the fact that the author replaced YHWH with Melchizedek in his quote of Isaiah 61:2 indicates that he was understood as one of the supreme spirits created by God, the spirit of light, who was to carry out God’s deliverance and judgment. It has been noted that there are many similarities between the roles of Melchizedek and the archangel Michael in the War Scroll (1QM 9:14-16), although the two are never explicitly equated in any of the surviving manuscripts. However, in the Visions of Amram (4Q544), the villain is given three names, “Belial, Prince of Darkness, and Melchiresha (“my king is wicked”)”; the parallel line is badly damaged but its probable reconstruction yields the names of the hero as “Michael, Prince of Light, and Melchizedek”, thus giving probable evidence that the Qumran community equated the two figures. 11QMelchizedek also refers to a “messenger”, quoting from Isaiah 61:1-2 and interpreting Daniel 9:26 in light of Isaiah’s text. Most commentators believe this to be in reference to a separate character, but Bergsma points out that Melchizedek has already been identified as the “anointed of the spirit” of Isaiah 61:1-2 in lines 4-6, 9, and 13 of 11QMelchizedek and therefore we should understand that Melchizedek and the “messenger” are one and the same. While Melchizedek is never specifically mentioned as either king or priest in 11QMelchizedek, undoubtedly the audience of 11QMelchizedek would have made the connection from Genesis 14 and Psalm 110. Lines 23-25 equate Melchizedek with God in Isaiah 52:7, “Your God reigns”, which would indicate a belief that Melchizedek will be king after delivering true Israel from the power of Belial, thus placing Melchizedek in the same role as the eschatological king; the Messiah. The Qumran community’s messianic expectations included an eschatological prophet (the Teacher of Righteousness) and two other figures, ‘the messiahs of Aaron and Israel’, which are understood as a royal messiah and a priestly messiah. Although Melchizedek is never called “messiah” in 11QMelchizedek, he is envisioned as making atonement for the Sons of Light on the Day of Atonement (lines 7-8) which is the role of the high priest on that day, thus making him a priestly proto-messianic character in 11Melchizedek as well. Melchizedek is envisioned as saving his people through the enactment of an eschatological Jubilee in which, not only will he return to the people “what is rightfully theirs”, but he will “release them from the debt of all their sins”. The Jubilee legislation found in Leviticus 25 requires that Israel is to count seven times seven years and then on the tenth day of the seventh month, the Day of Atonement, they were to proclaim liberty (LXX: ἄφεσιν) to all the land. This release was to restore land ownership to the original family (25:13), to stop economic injustice (25:14), and release of debt-servants/slaves (25:28). This Jubilee is closely related to the institution of the redeemer or go’el whose duties are to redeem his kinsman (Leviticus 25:25-55) and to take vengeance on the kinsman’s enemy (Numbers 35:16-34). It has been established that the Biblical Jubilee laws were analogous to the royal proclamations of the Sumerian andurarum, “freedom”, or Akkadian misharum, “justice”, that are attested to as early as mid-third millennium BCE in Mesopotamia and continued to be practiced throughout the ancient Near East into the Greco-Roman era. The enactment of this freedom, also known as “establishing righteousness and justice”, was very similar to the Biblical Jubilee except that rather than proclaiming the release every 50th year, it was enacted upon the ascension of a new king to the throne. This was because it was considered to be the responsibility of the king to establish a just rule for his people. This attribute of “establishing righteousness and justice” for the people by the king is found in passages referring to King David and King Solomon as well. In other nations, the enacting of liberation was performed by liberation of slaves and prisoners, restoring land, release of debts, restoration of temples, and the punishment of the oppressors. This liberation was preceded by its announcement through a messenger proclaiming liberty throughout the land. This establishment would have likely been fresh in the minds of the Qumran authors as the liberty proclamation by Cyrus had ended the Babylonian exile and, more recently, the liberation proclamation by Demetrius II (142 BCE) played a part in the establishment of Judean freedom and independence. Like 11QMelchizedek, Isaiah 61:1-2 speaks of an eschatological individual who actualizes the Jubilee. He proclaims liberty to the captives, frees the oppressed from their oppressors, and punishes the oppressors in the “day of vengeance for our God”. This messenger who proclaims liberty in Isaiah 61 is anointed to perform this role and 11QMelchizedek assigns this role to Melchizedek as well as the messianic prophecy in Daniel 9:26. Miller argues that all of various Scriptural citation in 11QMelchizedek are commented upon by means of Isaiah 61:1-2 and thus to properly understand the document, we too must understand how the ancient author used the document. Yeshua also proclaimed this passage to be in reference to himself although he left out the “day of vengeance” part, perhaps because that role of proclaiming the Jubilee was to be enacted at his second coming. 11QMelchizedek links the Sabbatical year to the Jubilee by quoting Leviticus 25:13 in line 2 and Deuteronomy 15:2 in lines 3-4. This link is established through a catchword that is only found in the LXX text; ἀφέσεως in Leviticus 25:13 and ἀφέσεως/ἄφεσις in Deuteronomy 15:2. By linking these two institutions together, the author is able to comment upon them both by means of Isaiah 61:1 in line 4-6 to establish an eschatological Jubilee whereby the faithful would be released, yet this release is not from slavery but from the ‘[burden] of all their iniquities’ משא ]כול עוונותיהמה]. This phrase uses very similar language to the Day of Atonement ritual in Leviticus 16:21-22 and hints that it is the Day of Atonement which is lurking in the author’s mind. While the Day of Atonement is not specifically mentioned in 11QMelchizedek, Bergsma suggests that the parallel between the Day of Atonement ritual of cleansing the sanctuary and the enthronement ceremonies of the ancient Near East indicates that, following the completion of the Day of Atonement ritual, there must have existed a sense of renewal or reassertion of YHWH’s presence. For the ancient culture, such a renewal of kingship was associated with the re-establishment of “freedom” (andurarum) and “social justice” (misharum). He also notes that it has been argued the Jubilee originated as a socio-economic manifestation of a spiritual event; the forgiveness and purification of sins on the Day of Atonement. Ironically, the author of 11QMelchizedek re-spiritualizes the Jubilee into a release from sins, thus the two events are combined in the author’s mind “because the two events now bear essentially the same significance”. Philo also notes a connection between the Jubilee and Day of Atonement “We find it (the number ten [that is the tenth of Tishrei, the Day of Atonement in the Jubilee year] in Jubilee (ἄφεσις), in the complete freedom of the soul, which shakes off from its misleading (ways) and returns to its heritages”. In summary, we see that 11QMelchizedek combines the concepts of the Jubilee year, the Sabbatical year, and the Day of Atonement through the lens of Isaiah 61:1-2 into an eschatological release from sin. This Jubilee release has parallels to the ancient Near Eastern concept of establishing righteousness and justice which was enacted by a new king upon his ascension to the throne, being declared by a royal messenger and enacting freedom, social justice, and punishment of exploiters. The author of 11QMelchizedek portrays Melchizedek, a Biblical figure associated with the combined role of king and priest, as being a proto-messianic heavenly being playing both the role of messenger to announce the Jubilee and the divine redeemer who both saves his people and punishes the oppressors. This portrayal finds many parallels with establishing justice and righteousness as well, and so I would propose that this ancient institution along with its Biblical parallels form the conceptual background upon which the author draws. These Biblical institutions all have a connecting word found in the LXX, ἄφεσις. Of the 45 occurrences of this word in the LXX, 22 are found in Leviticus 25 & 27 dealing with the Jubilee and Sabbatical year, 5 are in Deuteronomy 15:1-9 in context of the Sabbatical year, and most of the others are found in the prophets dealing with the release of slaves and captives, including Isaiah 61:1. Only once does ἄφεσις appear in the sense of forgiveness and that occurrence is in the Day of Atonement ritual and is interpreted from the Hebrew word Azazel, the goat for departure. While many commentators assume a “Jewish-Christian” audience who is in danger of reverting back to “Judaism”, this theory is now in question. Thompson writes that this conclusion is based upon “the superiority of Christ to the institutions of the OT and his appeal to the authority of the OT” and that the content would “be intelligible only to a Jewish Christian audience that was having difficulty breaking its ties with the Jewish tradition”, however he points out that this theory ignores the numerous references in the book to the situation of the readers and thus it must be rejected. The arguments in Hebrews concerning the Levitical cult do not presuppose a problem of return to Temple worship as a pressing problem among the audience, but rather they stand to affirm the believers that they are standing in a privileged position in the history of God’s interactions with humanity because of Messiah. In reality, the New Testament (NT) depicts the early Yeshua-group believers as continuing to meet at the Temple (for those in Jerusalem) and even continuing participation in the feasts and sacrificial system as seen with Paul’s insistence to make it to Jerusalem for Pentecost in Acts 20:16 and his attempt to bring offerings for himself and four others in order to purify from a Nazarite vow in Acts 21:15-26 at the request of James and the elders in Jerusalem. On this subject, deSilva confirms, “we have no firm indication that Jewish Christians as a rule ceased to participate in the temple cult prior to 70 CE, either in person or through the payment of the temple tax, and Matt 17:24–27 is a positive indication to the contrary.” Internal evidence in the book of Hebrews also concurs with this position; in Hebrews 8:4 the author writes that Yeshua would not be a priest if he were still on earth, since there are already those who offer gifts according to the Law. As will be argued below, the author of Hebrews is presenting the superiority of Yeshua’s priesthood in terms of eschatological forgiveness of sins. While I cannot say for certain why the early Church rejected the sacrificial system, it is my opinion that this was part of the anti-Judaism push that began when Bar Kokhba was declared the messiah in 132 CE creating a rift between the Yeshua-group sect and the other sects in Judaism. Such rejection was also found among some of the other Jewish sects as is found in Pseudo-Philo which belittles the importance of sacrifices, going as far as to equate the altar with idolatry, and promotes the importance of Torah study instead. Thus many modern commentators apply second-century Christian theologies anachronistically back upon first-century documents. Because the author of Hebrews focuses upon the Tabernacle and its regulation rather than the Temple, it is probable that the audience is in the Diaspora since living outside the land made it hard, if not impossible, to travel to the Temple more than once in a lifetime and thus the audience would be more familiar with the structure described in the Torah. The author considers that his audience has believed in Yeshua as the Messiah for some time (Hebrews 6:1-3) and is very familiar with the Scriptures based upon his heavy use of Scriptural quotations to support his argument. While this group would mainly consist of those of an ethnically Jewish background, we cannot discount that it also included those from an ethnically Gentile background. When the gospel message originally went out to the nations, it primarily was addressed to the “God-fearers”; Gentiles who were attached to almost every Diaspora synagogue who were already trying to fulfill the precepts of Scripture, were familiar with the Bible, and many were contemplating full conversion to Judaism. Josephus also confirms that in every city there were non-Judeans who observed the Jewish religious observances such as Sabbath rest, food prohibitions, and charitable distribution of goods. Thus, both those of a Jewish and Gentile background who became believers in Yeshua could have still maintained a deep connection with the Jerusalem Temple. Since Diaspora living precluded them from attending Temple services and offering sacrifices due to the distance, they could only participate in the service by means of the half-shekel Temple tax which was sent to Jerusalem and used to pay for the daily burnt offerings and, significantly, for the Day of Atonement service which brought atonement for the sins of the entire nation. Based upon this, I would propose that either the extreme corruption in the high priesthood, the impending destruction of the Temple, or the actual destruction of the Temple (depending on the actual date of Hebrews) brought emotional distress upon the audience since it meant the non-acceptance of the Day of Atonement ritual and the idea that perhaps their sins would not be atoned for. 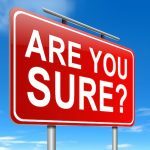 Thus, part of the reason for the author of Hebrews’ reason for writing the letter is to assure his audience that regardless of whether the Day of Atonement ritual was accepted in the Jerusalem Temple, we have a high priest in the heavenly Temple who has already provided atonement once and for all. The author of the book of Hebrews portrays Yeshua as a high priest in the context of the Day of Atonement. Hebrews 2:17 states that atonement for “the sins of the people” just as the high priest does in Leviticus 16. Yet this isn’t just an annual forgiveness of sins, it is done to “free those who through fear of death were subject to slavery all of their lives,” an action very reminiscent of the Jubilee. 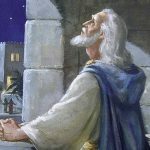 Hebrews 5:1-3 discusses the high priest in his role on the Day of Atonement who must offer a sacrifice for his own sins as well as the sins of the people. In Hebrews 9, there is a description of the Holy of Holies with one article out of place; the altar of incense is said to be in the Holy of Holies rather than the Holy place. This is most likely a translational error into English due to a lack of understanding of the Tabernacle on the English translator’s part since the word θυμιατήριον, which only appears once in the NT, occurs twice in the LXX and actually refer to the golden incense censer which is brought into the Holy of Holies by the high priest on the Day of Atonement. During this ritual, the high priest would enter with the incense censer and the blood of bulls and goats for atonement, an action which Yeshua is said to perform in the heavenly Tabernacle in Hebrews 9:11-12. In 9:15-20, the author discusses how death is necessary to procure blood for the inauguration of a new covenant; a covenant where Yeshua becomes king. It was upon the inauguration of a new king in the ancient Near East that the enactment of justice and righteousness was supposed to occur. Lastly, in Hebrews 9:22b we find a very peculiar statement in our English translations, “without the shedding of blood there is no forgiveness.” Is the author of Hebrews unaware of the multitude of times where God forgave sins in the Hebrew Bible as well as in the Gospels? Again, we find a problem with the popular translation; the word translated as “forgiveness” is ἄφεσις, the same word that we have previously established as being connected with the Jubilee, the Sabbatical year, the Day of Atonement, and Isaiah 61:1-2! Its translation as “forgiveness” stems from some NT texts which compare sins to a debt so that forgiveness means that God, as the creditor, releases the debtor from the obligation to pay. Given the fact that the translation as “forgiveness” yields an improper theological understanding of God’s forgiveness and the actual meaning of the word, I would propose that this passage would better be understood as saying that without the shedding of blood, there can be no Jubilee release; no eschatological Day of Atonement. This word also provides us with an important link to 11QMelchizedek. The author of Hebrews’ desire to portray Yeshua as a high priest presiding over an eschatological Day of Atonement presents a problem, for Yeshua is already portrayed as the Davidic king in the Gospels; in Israel, kings were barred from the office of priest. 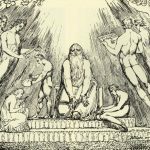 The author does not attempt to appeal to the Greco-Roman precedent which his audience would have undoubtedly been familiar with, but rather appeals within the Biblical narrative to the one person who held both positions, Melchizedek. The ambiguity in the Hebrew Bible’s traditions concerning Melchizedek, along with intertestimental Jewish literature speculations, provided a precedent for the author of Hebrews to legitimately combine these offices for messianic purposes. Thus, Yeshua ’s being described as after the order of Melchizedek is not an alternate, pre-Aaronic priestly lineage, but is in fact an ancient royal priesthood where the king also served as the high priest. 11QMelchizedek portrays Melchizedek with aspects of both king and priest, but it is important to note that he is also portrayed as a heavenly being, and thus may not have been subject to the rules for kings in Israel according to Qumran theology. Qumran’s Melchizedek is also not specifically called “messiah” even though his role is very similar to messianic expectations. Qumranic literature does make mention of two human messiahs, the Messiah of Israel and the Messiah of Aaron. During an eschatological meal, the Qumran writer gives precedence to the Aaronic messiah. Fensham argues that the author of Hebrews’ emphasis that Yeshua is a high priest, not of the Levitical line, but of the tribe of Judah makes no sense unless we are willing to accept that it is directed against groups which held a high esteem for the Aaronic lineage of priests. The basis for Yeshua’s claim to the throne and priesthood comes not from lineage, but from an oath sworn by God (quoting Psalms 110:4) and is evidenced by the power of indestructible life; the resurrection from the dead. Hebrews compares Yeshua’s lack of genealogy to Melchizedek’s lack of genealogy not to imply that Melchizedek was literally without parent, rather the author uses the silence in the text to show that Melchizedek had no priestly genealogy to support his claim to the priesthood. Yeshua is not portrayed as the successor to Melchizedek, rather every feature of significance in Melchizedek’s priesthood is present but on a grander scale in Messiah’s priesthood. Melchizedek is said to be “made like the Son of God” (Heb 7:3) in order to foreshadow the traits of Messiah; it is Yeshua, not Melchizedek, who is the reality. The book of Hebrews neither quotes nor explicitly interacts with 11QMelchizedek, however they do share similar aspects and thus the study of 11QMelchizedek can help shed light upon first century understanding of Melchizedek as well as the anticipated eschatological Jubilee from sin. 11QMelchizedek also helps us to understand some of the messianic expectations within Second Temple Judaism, especially those outside the most commonly held expectation of a Davidic Messiah. Most scholars deny that Hebrew’s combination of Yeshua as both king Messiah and high priest Messiah was influenced by Second Temple period literature concerning a priestly messiah, but the evidence presented here has shown multiple points of congruence between 11QMelchizedek and Hebrews through the concept of a king-priest messianic figure and the enactment of an eschatological Jubilee/Day of Atonement for the release from sins. While many scholars have concluded that there is no connection between 11QMelchizedek and the book of Hebrews, Mason concluded that “Qumran’s presentation of a heavenly Melchizedek certainly has more points of contact with Hebrews conception of Melchizedek then do other Second Temple Jewish discussions of the figure.” I would propose that part of the reason why many fail to make the connection is because they miss the connection between the Day of Atonement language of Hebrews and the Jubilee language in 11QMelchizedek. This study is limited in nature, but based upon the evidence presented I would suggest that further studies be initiated into the connection between Hebrews, 11QMelchizedek, and the eschatological Jubilee. Astour, “Mechizedek (Person),” ed. David Noel Freedman, The Anchor Yale Bible Dictionary. New York: Doubleday, 1992. Bergsma, John. The Jubilee from Leviticus to Qumran: A History of Interpretation. Boston: Brill Press, 2007. Brooke, George J. “Melchizedek (11QMelch),” ed. David Noel Freedman, The Anchor Yale Bible Dictionary. New York: Doubleday, 1992.
deSilva, David. 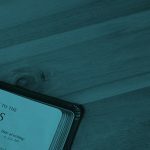 An Introduction to the New Testament: Contexts, Methods and Ministry Formation. Downers Grove, IL: InterVarsity Press, 2004.
deSilva, David. The Letter to the Hebrews in Social-Scientific Perspective, vol. 15, Cascade Companions. Eugene, OR: Cascade Books, 2012. Fensham, F. C. “Hebrews and Qumrân.” Neotestamentica 5 (1971): 9-21. Flusser, David. Judaism and the Origins of Christianity. Jerusalem: The Magnes Press, 1988. Jacobson, Howard. A Commentary on Pseudo-Philo’s Liber Antiquitatum Biblicarum, Vol 1. New York: Brill, 1996. Koester, Craig R. Hebrews: A New Translation with Introduction and Commentary, vol. 36, Anchor Yale Bible. New Haven; London: Yale University Press, 2008. Lim, Timothy H., Larry W. Hurtado, A. Graeme Auld, and Alison M. Jack. The Dead Sea Scrolls in Their Historical Context. London; New York: T&T Clark, 2004. Mason, Eric. “You Are a Priest Forever”: Second Temple Jewish Messianism and the Priestly Christology of the Epistle to the Hebrews. Leiden: Brill, 2008. Miller, Merril. “The Function of Isa 61:1-2 in 11Q Melchizedek.” JBL 88 (1969): 467-469. New American Standard Bible: 1995 Update. LaHabra, CA: The Lockman Foundation, 1995. Rooke, Deborah. “Jesus as Royal Priest: Reflections on the Interpretation of the Melchizedek Tradition in Heb 7.” Biblica 81 (2000): 81-94. Schniedewind, W. M. “Melchizedek, Traditions of,” ed. Craig A. Evans and Stanley E. Porter, Dictionary of New Testament Background: A Compendium of Contemporary Biblical Scholarship. Downers Grove, IL: InterVarsity Press, 2000. Thompson, James W. Hebrews, Paideia Commentaries on the New Testament. Grand Rapids, MI: Baker Academic, 2008. Weinfeld, Moshe. 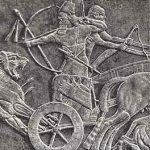 Social Justice in Ancient Israel and in the Ancient Near East. Jerusalem; Minneapolis, MN: The Magnes Press; Fortress Press, 1995. Wise, Michael O., Martin G. Abegg Jr., and Edward M. Cook. The Dead Sea Scrolls: A New Translation. New York: HarperOne, 2005. While commonly transliterated from the Greek into ‘Jesus’ in our English Bibles, I chose to retain the original Aramaic/Hebrew pronunciation of Yeshua to refer to the Messiah. Wise et al. 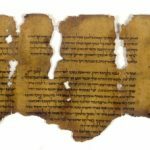 The Dead Sea Scrolls: A New Translation, 590–591. All translations of Scripture are mine unless otherwise indicated. While some scholars claim this was a Canaanite deity, Gen 14:22 makes it clear that “El Elyon” is indeed another title for YHWH. Lim et al., The Dead Sea Scrolls in Their Historical Context, 172. The Hebrew prefix לְ attached to a proper name can be translated either as “of” or “to”. Koester, Hebrews: A New Translation, 346. Flusser, Judaism and the Origins of Christianity, 188. Schniedewind, “Melchizedek, Traditions of,” 694. Mason, “You Are a Priest Forever”, 167-168. Bergsma, The Jubilee from Leviticus to Qumran, 283-289. From The Rule of the Community (1QS). Mason, “You Are a Priest Forever”, 77. Mason, “You Are a Priest Forever”, 77. All translations of 11QMelchizedek from: Wise et al., Dead Sea Scrolls: A New Translation, 591–593. Bergsma, The Jubilee from Leviticus to Qumran, 20. Weinfeld, Social Justice in Ancient Israel and in the Ancient Near East, 45. David: 2 Samuel 8:15; Solomon: 1 Kings 10:9. Weinfeld, Social Justice in Ancient Israel and in the Ancient Near East, 64, 140. Weinfeld, Social Justice in Ancient Israel and in the Ancient Near East, 64, 148. Miller, “The Function of Isa 61:1–2 in 11Q Melchizedek,” 467. Timothy H. Lim et al., The Dead Sea Scrolls in Their Historical Context, 171. Bergsma, The Jubilee from Leviticus to Qumran, 31-32. Bergsma, The Jubilee from Leviticus to Qumran, 284-285. Weinfeld, Social Justice in Ancient Israel and in the Ancient Near East, 208. Weinfeld quotes from Philo, Prelim. Studies, 106-108.
 deSilva, The Letter to the Hebrews in Social-Scientific Perspective, 32-34.
 deSilva, The Letter to the Hebrews in Social-Scientific Perspective, 56-57.
 deSilva, An Introduction to the New Testament: Contexts, Methods and Ministry Formation, 778. Numbers 6:13-21 details the purification from a Nazarite vow which includes offering a so-called “sin sacrifice”, better translated as “purification offering”. deSilva, The Letter to the Hebrews in Social-Scientific Perspective, 34–35. Jacobson. A Commentary on Pseudo-Philo’s Liber Antiquitatum Biblicarum, 206-207.
 deSilva, The Letter to the Hebrews in Social-Scientific Perspective, 57. Skarsaune, In the Shadow of the Temple, 82. Skarsaune, In the Shadow of the Temple, 83. Hebrews 2:15, New American Standard Bible (NASB). See 2 Chronicles 26:19 & Ezekiel 8:11, LXX. Koester, Hebrews: A New Translation, 420. Schniedewind, “Melchizedek, Traditions of,” 695. Rooke, “Jesus as Royal Priest,” 82-83, 89. Fensham, “Hebrews and Qumran,” 16-17. (Mason, “You Are a Priest Forever”, 30, -> quoting Horton 153-154, 156-160, 161-163). Koester, Hebrews: A New Translation, 343. Mason, “You Are a Priest Forever”, 197. Horton, 2005, Kobelski, 1981, Hurst, 2005. Stated in Koester, Hebrews: A New Translation, 340. Koster comes to the same conclusion as the above authors. Mason, “You Are a Priest Forever”, 197-198.